What is a Modified Atkins Diet? A modified Atkins Diet can be a solution to your weight loss woes if you’ve tried the Atkins approach and can’t seem to stick with it. Another reason to try a modified version of this popular weight loss routine is if your doctor has concerns about your consumption of fats. While I found that Atkins was great for losing weight, I did have trouble sticking to some of the more stringent portions of the diet, so I modified my copy of the Atkins diet to fit my needs. When you modify the Atkins diet, you may not lose weight as quickly, but for me it meant I could stick to it more easily. For me this was a fair trade-off. The most important thing to keep in mind when modifying the Atkins diet is that the key is keeping everything low carb. If you can do this, you can make some minor changes and still lose weight. The part of the Atkins plan that gave me trouble was what I had to eat to fill me up in place of the carbohydrates I cut out of my diet. I simply wasn’t able to eat a lot of meat and fatty foods like cheeses. Instead of loading up on these, I modified the Atkins diet menu plan by balancing out my meals with more of the vegetables and salad greens that are permitted on the diet. Keep in mind that you can’t keep the fat intake low, however, by substituting carbs. This is completely counter to what you’re trying to achieve on even a modified Atkins diet. I’ve done some reading on my own and discovered that there are as many sites with Atkins Diet information modified to suit individual preferences as there are people on Atkins! In fact, many doctors are now suggesting modified versions of Dr. Atkins’ program to their patients and helping them “tweak” the diet to suit them. 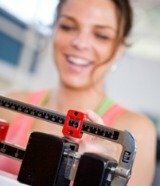 One of the most interesting articles I came across was at Epilepsy.com, where a modified Atkins diet was outlined for individuals who suffer from seizure disorders. Please don’t try this for yourself if you suffer from a seizure disorder – bring it to the attention of your doctor and ask if it might work for you! The modified Atkins program used for helping treat seizures is actually the opposite of what I did. This version calls for more fats and was extremely strict on the carbs and the ratio of all the foods eaten. According to Johns Hopkins University, the diet reduced the number of seizures in severely epileptic children by half or more, even without medication. It’s interesting to me that doctors are now realizing that by modifying the Atkins Diet a number of health problems may be reduced or eliminated. Think about it – lower cholesterol, fewer seizures, weight loss…the list of advantages is great. If you don’t think Atkins is for you, you should think again. Discuss if with your doctor – a modified Atkins Diet may be the perfect solution.